- the assurance that dawn comes after every night, and spring after winter." I came across a copy of The Old Farmer's Almanac for 2019 at the market this week. I was surprised to find it there, as I typically find this particular chain's magazine offerings a bit dismal. But since I realized I hadn't purchased a copy this year and to save myself the trouble of making a trip to Barnes & Noble, into the cart it went. 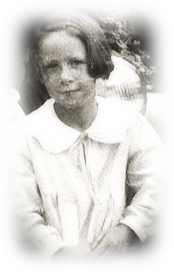 Along with her bible, a copy of the almanac was ever at the ready on my grandmother's coffee table. I've been flipping through the pages of this annual publication for years, probably even more than I can recall. I think I buy it in part for the nostalgia, but in all honesty, it includes a wealth of information. 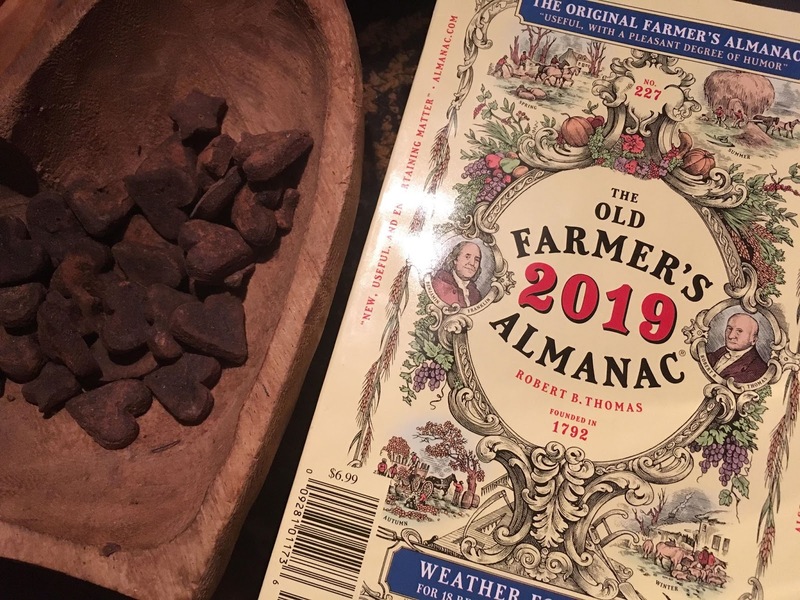 Since I am naturally drawn to seasonal living, The Old Farmer's Almanac is a handy resource, and over the years I've found their website to be even more informative. The front part of the publication contains mostly articles and advertisements. But in skimming through it, I've already noted a few I want to take a look at, including The 2018 Orange Recipe Contest Winners, where I saw two recipes I want to try, Cran-Orange Couscous Salad, which won first prize, and Orange and Bacon Brussels Sprouts, which took third. Brussels Sprouts is a vegetable I remember enjoying as a child, though I have no idea how my mother prepared them. But in my adult years, I've become less of a fan. Still, I'm determined to find a recipe makes them palatable, and I hope to add them to my menu rotation. And speaking of, menu planning and seasonal menus is something I have on my agenda for the coming year, so if that's something that interests you, please be sure to check back! And now back to the almanac, I also noticed an intriguing article on the zodiac system, Adventures in the Zodiac Zone, and since the night sky is something I am particularly fond of observing, I am looking forward to reading it. But most people, including me, enjoy the almanac for the wealth of information that is included in the back of the publication, including the general weather report and forecast for the upcoming year, the dates that eclipses will occur, when you can view the brightest stars and meteor showers over the next twelve months, when the planets will be visible, as well as the ever popular calendar of the heavens for 2019, which is pictured to the left, above. The calendar lists, among other things, the times the sun and the moon rise and sets on each day of the month, what day of the year a particular date is, and a wealth of other information that is too lengthy to list. 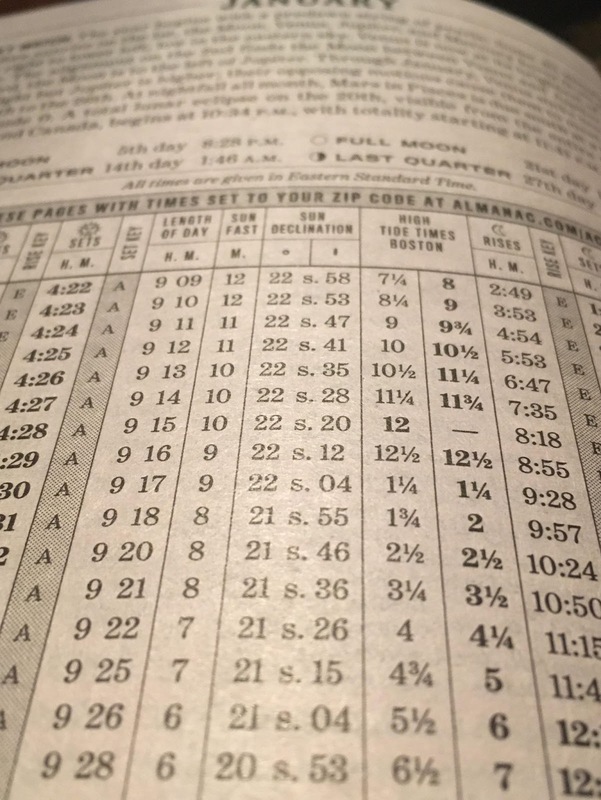 It includes a guide at the beginning of the calendar with instructions for how to use it. 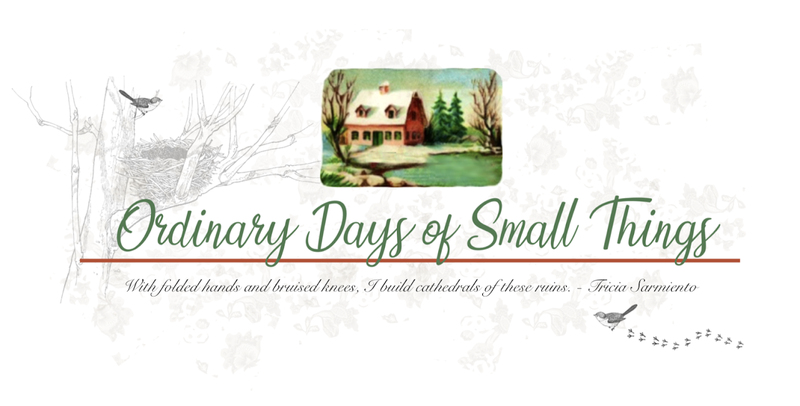 I typically refer to it at the beginning of each month and jot down a few notes of interest, and I like keeping track of the sunrise and sunset each day, as well. In addition to the printed publication, at their website you can get information regarding the weather customized to your location. Just go to this page and type in your zip code, and it will give you the long range forecast for your area, which I've always found to be amazingly accurate, and my grandmother swore by it, too. Here's what the almanac says about the upcoming weather for our region. And then here is the forecast from our local weather station. And as you can see, they are indeed calling for snow in our area this weekend. Right now they are predicting somewhere in the 5-10" range for accumulation totals, but as with the storm we had just before Christmas, those totals could shift depending on how the storm tracks. Where we are located is also about mid way between Roanoke and Lynchburg, and the predictions for Roanoke are bit higher, in the 5-14" inch range, so our actual totals could vary. At any rate, the chances that we will see snow with some accumulation over the weekend is pretty much a given at this point. I also noted that the almanac predicts that we will be getting more snow towards the end of the month, around the 26th, so it will be interesting to see how those predictions play out. 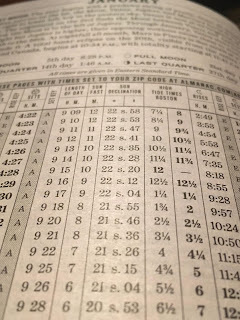 I enjoy using the almanac for a number of things, including the phases of the moon. My dear friend Dawn has begun keeping a phenology wheel this year and has inspired me to keep one as well. Although I'm about a week late to the game, I figured I could just go back and fill in the information for the earlier dates. You can learn more about the phenology wheel, here. And if you should decide you want to keep your own, you can find a template for one here. I am pretty sure this is the template that Dawn is using, and I am using this one as well. If you do decide to keep one, I hope you'll share some pictures of yours. You can either post a picture in the comments here, or if you'd like, join us at my Facebook group, or you can follow me on Instagram. I'll be posting pictures of mine from time to time at both of these locations, if that happens to be something that interests you! And whatever the weather looks like where you are this weekend, I pray you will be filled with warmth! we receive a small monetary compensation.